A young man left his home in Ireland in 1845 and sailed across the Atlantic Ocean to the United States. He was nineteen or twenty years old when he reached the Port of New Orleans, Louisiana. He became a citizen of the U.S. in 1853 and spent the rest of his life as an American. He married Nancy Barrett, he died in 1884, and his name was Edward John McDonnell. He was my great-grandfather. I've always felt a connection to history - not so much the names and dates stuff that is so boring but rather what it is about our past that makes us who and what we are now. How did people live and what did they believe? How did these facts shape how we live and think today? On a more personal and specific level, why was I born an American and how did I end up with the last name 'McDonnell'? These questions led me on a crusade to learn more about Ireland and the history of the Irish people. My quest led me, finally, to Ireland itself. In the process, I collected many stories about the McDonnells in Ireland. There are indeed some fascinating stories about some fascinating people, and my collection grew to the point that I decided to share it. This book, as I originally contemplated it, would have been a somewhat random series of such stories. 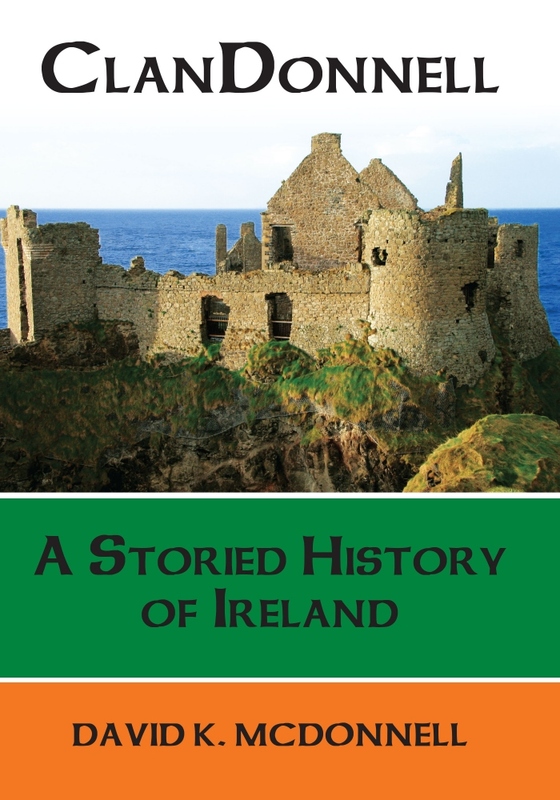 But I also researched the Irish clans: how they evolved into being, how they crashed out of existence, how they shaped the lives of ordinary Irish for over a thousand years, and how their influence shaped Irish character long after the clans ceased to exist. My research covered both Irish clans generally and the McDonnell clan in particular. Eventually, I decided to center my stories within the context of the McDonnell clan of Ireland. My book was now more structured, but the stories still floated around in a bit of a vacuum. In assembling the stories, I discovered that the McDonnells have been in Ireland for a long, long time. 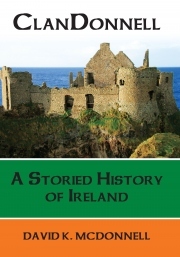 I also realized that few histories of Ireland are written in a form that is enjoyable for the non-historian. There is a considerable void between what historians are prone to write and what everyone else wants to read. And so the stories of individual McDonnells became the stories of the McDonnell clans, and the stories of the McDonnell clans became the story of Ireland. Since many McDonnells freely traveled across the North Channel between Ireland and Scotland (and the Hebrides Islands in between), the stories of the McDonnells are also stories of Scotland. This book is not my genealogy, although there is some genealogy in it. Nor is this the history of the McDonnell family, although there are a lot of McDonnells in it. Rather, it is a story of Ireland and, to a lesser extent, Scotland, told in a particular way - through the evolution of the McDonnell clan in Celtic Ireland and through the descendants of the McDonnell clans after the clan culture ended.